“Music is moral law. It gives soul to the universe, wings to the mind, flight to the imagination and charm and gaiety to life and to everything.” – Plato. Perhaps the most instinctive of the arts, music is a universal language that transcends culture, language and time. All societies have music just as they have language, making it a cornerstone of the human experience. Even if you don’t like a certain type of music, chances are you can detect the emotions it conveys through pitch, rhythm and tempo. In Lebanon, classical music is alive and well. The LPO plays music every Friday from October to June at the St. Joseph Church in Monot for the public for free – and they’ve been doing so consistently for 15 years. The concerts became popular gradually; with crowds initially small but growing to fill out the venue and sometimes spilling out. Created in 2000 by Dr. Walid Gholmieh as part of the Lebanese National Higher Conservatory of Music (a government body), the LPO now has 98 professional musicians, 40 of them Lebanese and the rest foreign nationals, playing 15 varieties of instruments. In addition, they are all music instructors at the conservatory, which has a total of 250 teachers and currently caters to approximately 5,000 students. Led by Fazlian, the LPO has over the years made impressive musical strides with culturally significant and historic performances. They’ve accompanied world-renowned legends including Placido Domingo, Jose Carreras and Angela Gheorghiu. In 2011, for the first time in Lebanese history a live orchestra accompanied a live musical play, “From the Days of Salaheddine”. Held at the Baalbeck International Festival, it was a complicated production, difficult both technically and artistically. “Everything was live, and no one had ever done that before. There was no precedent so there was nothing to learn from,” Fazlian explains, adding that he is very proud of this accomplishment, but is also humbled and honored to have been on the stage where Russian cellist and conductor Mstislav Rostropovich, Austrian conductor Herbert von Karajan and Russian pianist Sviatoslav Richter once played, and history was made. “People were against the idea [of holding the festival in Baalbeck that year]… but it was such a big message. There were 4000 people there. The message was louder than the music,” he says. 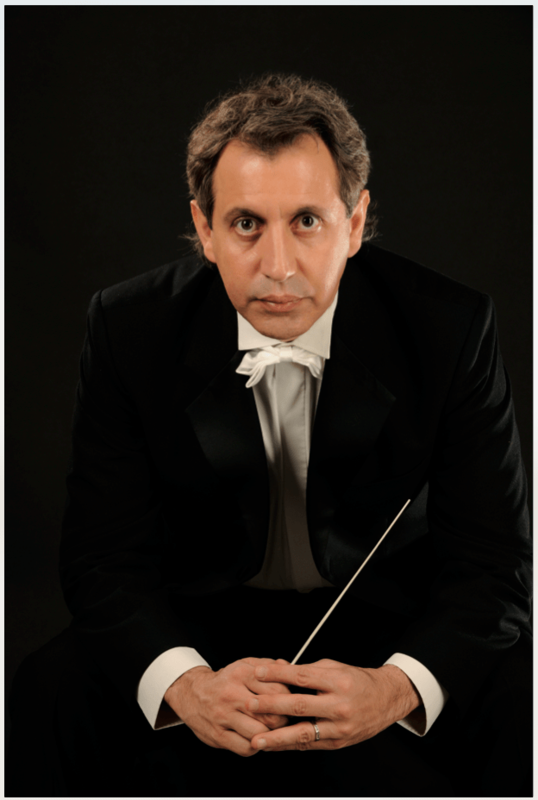 The following year, he conducted the orchestra with Caracalla Dance Theater’s “Once Upon a Time” at the Beiteddine Art Festival, another national first where a live orchestra played alongside live dance. “These are things that make you, as an artist, feel like you’re doing something for Lebanon,” he states. “I want people to see my country for its great artists.” 2013 saw a completely different kind of collaboration. Fazlian – who in Montreal was part of the rock band “The Dirty Dolls” – was asked to join the Lebanese band “Who Killed Bruce Lee” on stage at the Red Bull SoundClash concert with orchestra members for a fusion song. In fact, he says that rock has always been an inspiration. “There’s a lot of rock in my music; it’s intense and edgy and I like adding this edginess to classical music,” he says. The LPO holds 30 concerts per season, which are conducted by Fazlian as principal conductor, as well as by guest conductors, both Lebanese and foreign. They regularly cooperate with embassies to invite conductors and soloists, and play music from the respective country, working with around 20 embassies to date. The 2015-16 season line-up features performers from China, Germany, Australia, Mexico and France, among others. Inviting these guests introduces the Lebanese public to foreign music styles, helps the orchestra improve by learning new music and also sends a positive message to the outside world about Lebanon. To Fazlian, an orchestra can serve as a country’s ambassador. “When they go back they will say that we have a great orchestra. Art does great PR for a country,” he says. The LPO has a lot of plans, met with an equal number of challenges. While the orchestra does not yet tour during the summer (as is common among international ensembles), Fazlian aims to start soon, hopefully in summer 2016. Budgetary constraints have been a problem, as the LPO is a government entity and is not allowed to receive donations. For that reason, Fazlian recently set up an external NGO called Friends of the Lebanese Philharmonic Orchestra (FLPO), which facilitates the donation of financial and material gifts (such as instruments), and would help the orchestra travel and grow. 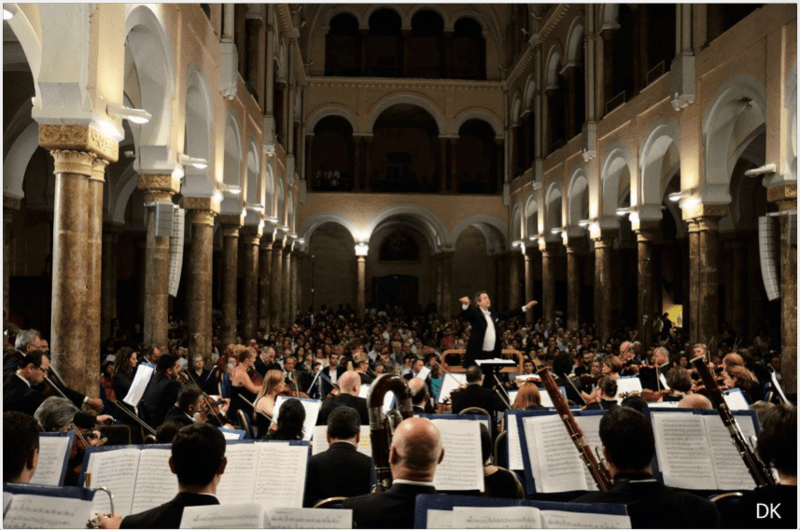 The LPO is becoming increasingly popular in Lebanon, as evidenced by the continuous, Friday night flow of music-loving masses into the St. Joseph Church; people who go for the first time are often surprised by the diverse crowd. That means it might be time to expand. “We are working on a concert hall, which is badly needed. Hopefully we will achieve this idea soon. There have been challenges but we are working on this very hard,” Fazlian assures.